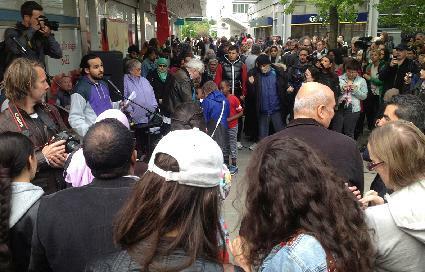 On Wednesday 22 May, Rättvisepartiet Socialisterna (CWI Sweden) initiated a protest, through a local network, at Husby square with 500 people. The meeting explained the roots of these events – the right-wing policies attacking living standards and services in the area – as well criticised the police and showed that vandalism is no way forward. The riots started on the night of Monday 20 May. Since then, cars set on fire, vandalism in shopping centres and attacks on police stations have spread to more suburbs around Stockholm. These areas, built in the 1970s and housing mainly low-paid workers with a large proportion of immigrants, have long been under attack from neo-liberal policies in all areas – unemployment, cuts of unemployment benefits, housing shortages, school privatisations and constant cuts in local services. In Husby, the public health centre was closed down and replaced with a smaller private one. Schools and youth centers have been closed etc. Young people have been especially affected. 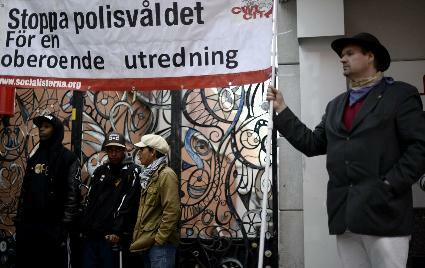 570 young people aged 20-25 years in Husby, 38 precent, have neither jobs nor studies to go to. In general, a recent OECD report showed Sweden having the fastest growing gap between rich and poor, falling from from being the most “equal” to place number 14 (of 34 OECD countries). The results of Swedish schools have likewise fallen from among the best down to average or below average. What triggered this week’s dramatic events is undoubtedly the police intervention and shooting dead of a 69-year-old man, who appeared to be causing a disturbance in his own home last Monday. 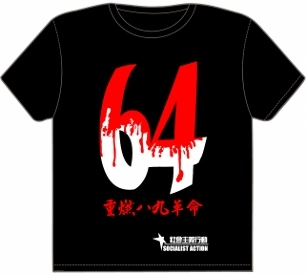 This has raised strong criticism and anger among many local inhabitants, especially young people who often have personal experiences of brutality or harassment by the police. “Something like that would never happen in the rich areas”, is a widespread perception in Husby. A local youth organisation called Megafonen organised a small demonstration demanding an independent investigation of the shooting by the police as well as a public apology to the man’s relatives and local residents. Rättvisepartiet Socialisterna took part in the demonstration and supported the demands, adding our demand for democratic control of the police. When the violence broke out on Sunday evening, the police intervened brutally and with racist abuse against the youth and locals. Credible witnesses say the violence only gathered momentum after a police dog attacked a mother who came there to get her 14-year-old son away from the scene. Adult locals, including two “community hosts” were also subjected to baton blows and punched in the face by police. They were also subjected to a stream of abusing words such as ’monkeys’, ’fools’, ’blackies’ etc. Establishment media and politicians have been fast in condemning the riots. 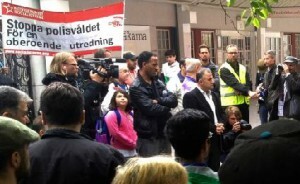 Prime Minister Fredrik Reinfeldt stressed that the inhabitants of Husby should learn the rules “in Sweden”, implying that immigrants are behind the violence. The local sub-council leader, a conservative, said Husby residents should only be thankful and called its young people ’thugs’. The media in general have no links to these areas and can not understand what is going on. Of course people in Husby were also scared, angry and frustrated over the car fires. At the same time as explaining the political roots to the riots, socialists need to take a stand. We have also explained that it is wrong to hope that simply the spontaneous protests might convey a message that can induce rulers to make concessions. 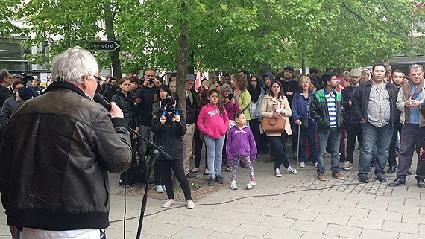 At the protest in Husby on Wednesday, Arne Johansson, editor of Offensiv (the paper of Rättvisepartiet Socialisterna) and Husby resident, was the main speaker. He condemned the police brutality and continued: “It is not a solution to burn each other’s cars. What is needed is a united struggle against the government and the council. We have always had a spirit of solidarity in Husby, a sense of pride for our neighbourhood. We are used to fighting together for what we want”. In fact, Husby, until the last few days, has been relatively spared from cars being set on fire and vandalism. The fact that there have been many local struggles is a reason for that. 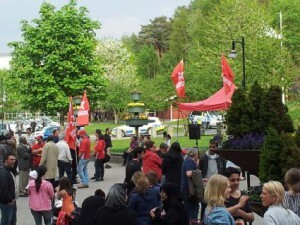 Husby’s residents have a long tradition of fighting for their interests, with Rättvisepartiet Socialisterna playing a leading role. A council plan for demolition of houses, luxury renovations and 70 percent rent rises was defeated in a struggle in 2007-08. The same local network (Järvas Framtid) also fought and won against privatisation of the local swimming facilities and against the plan to adopt a local traffic lay-out that would have made it more dangerous for pedestrians. Some other battles, such as against the closure of the health centre, have been lost. At the street protest, local people were encouraged to speak and everyone was invited to further campaign meetings and protests. An independent inquiry and apology from the police – along with an end to police brutality and the use of military methods! 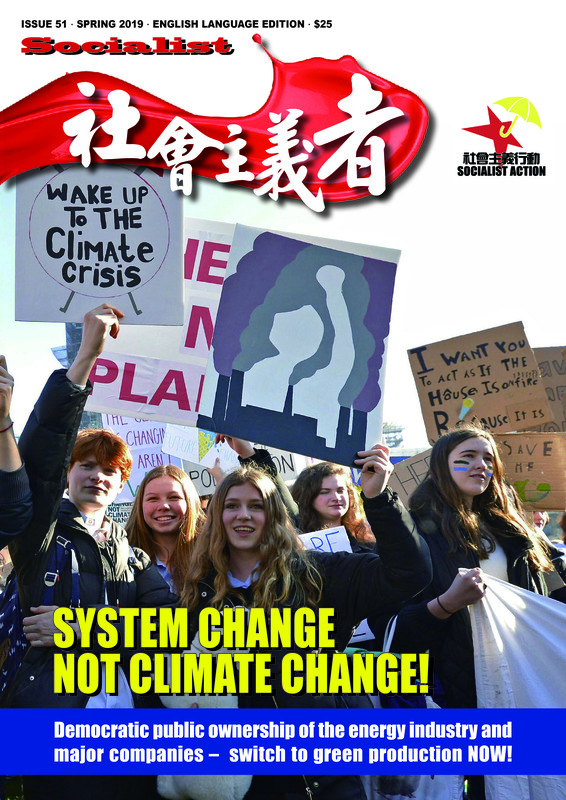 Immediate action for jobs and training for all young people – work for all! Social rehabilitation services and the renovation of housing on our terms – an end to all privatisation and cuts! Rättvisepartiet Socialisterna stands for united struggles and a new fighting workers’ party with socialist policies in response to the present right-wing policies. Hammarkullen in Gothenburg, a suburb similar to Husby, has seen increased crime rates which last weekend culminated in gunfire amongst people. Rättvisepartiet Socialisterna organised a rally against violence and for improvements instead of cuts. 250 people came to the square with one day’s notice. “The shooting should be a political alarm clock. What Hammarkullen and other suburbs need is education, work and housing”, said Kristofer Lundberg, RS Gothenburg, at the demonstration.